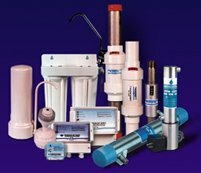 What does a water softener do that a microprocessor driven deposit control system does not? What does a TWT Deposit Control System do that a water softener does not? 500 Billion Pounds of Hazardous Chemical Waste Per Year! Important: If you do not see the red Navigation bar at the top of this screen, please go to www.triangularwave.com and then click Refresh or Reload in your browser.